April Showers bring "May Flowers!" Come join us for Kimberbell's Bench Pillow Series! This month's feature "May Flowers". 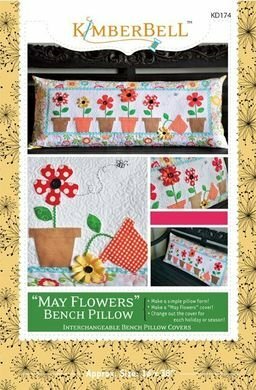 Combine piecing with flower-pot appliques and add textural elements to create this adorable bench pillow you will be proud to display or give as a gift! Sewing Machine Applique or Machine Embroidery - You choose!